Today marks the first official day of Spring- that means it’s time for “Spring Cleaning”! While many people may associate spring-cleaning as something to do in their homes, it’s also a great idea to bring spring-cleaning into your work environment. Spring-cleaning can play an important role in the mental and physical health of your employees, providing a sense of rejuvenation in the workplace. So to help put some spring back in your step, here are a few tips to refresh your workplace wellness. Tidying up and refreshing your workspace is a simple way to start your wellness spring-cleaning that comes with many benefits. An organized workspace has been shown to promote creativity, reduce stress and improve efficiency. A messy workspace can be distracting and take away from your work, so encourage your team to dust off their desks, declutter their minds and make space for new ideas to grow. Encourage your employees to utilize outdoor break rooms/areas during their coffee and lunch breaks. Introduce more natural light into the workplace. A few things to consider include: can employees be seated closer to a window, can views be expanded, can window coverings be removed? Encouraging employees to spend time outdoors- while on the clock- may seem counterproductive, however, the overarching health benefits will result in healthier, happier and more productive employees. Unfortunately, when work obligations hit we can’t always get outdoors. So instead, bring the outdoors in! Studies have shown that houseplants not only reduce stress levels and boost an individual’s mood; they can also improve one’s concentration and productivity by up to 15%. The presence of leafy green plants has also been linked to enhanced creative thinking. If your workplace isn’t suitable for plants, encourage employees to decorate their workplaces with artificial plants and nature photographs. While these alternative solutions won’t improve air quality, they can have a similar effect on one’s mood. 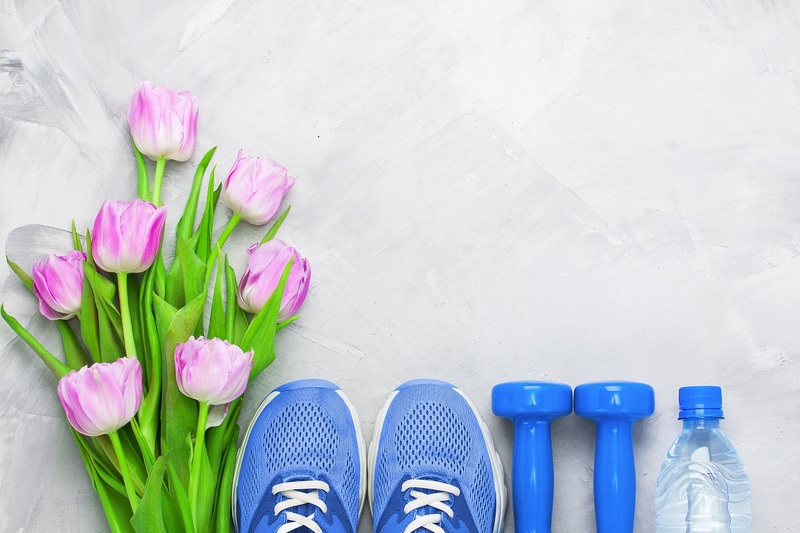 Spring-cleaning is the perfect time to evaluate and renew your workplace wellness programming. Our #1 tip for assessing your wellness programs is to obtain feedback. Work with your team to identify the aspects of your wellness program that are most important and/or relevant to them. What initiatives are working? What initiatives should you lose or revise? Take the time to evaluate your program’s successes thus far and embark on some spring-cleaning. Ensuring that your wellness programs align with the health goals of your employees will help foster engagement and participation. What other ways can you “Spring-Clean” wellness in your workplace? Feel free to share and connect with us! If you have any questions or would like to talk to us more about your workplace wellness programming, please contact us today at info@pivothrservices.ca and stay tuned for more wellness tips on “Wellness Wednesdays”.